We currently host four annual retreats. 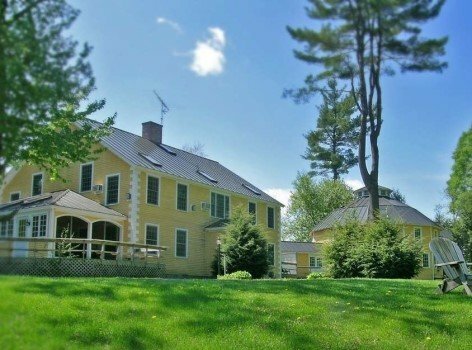 All our retreats are held at Breakfast on the Connecticut in Lyme, NH. Space at each retreat is limited to 18 participants. Retreat Package (Thurs, 2pm – Sun, 1pm): $340.00 per person, double occupancy; $415.00 single occupancy*. *Note: Single rooms are limited – we will do our best to accommodate. Transfer to another Retreat is possible if the space is available with a $25 processing fee. Lodging: Thursday, Friday & Saturday nights in double and single occupancy rooms. Single rooms are limited. We will do our best to accommodate your preference. Sociability: A chance to meet with your fellow quilters to share tips and projects or just chat. Come join us for an uninterrupted weekend of doing what we love best!